As someone who works full time, deciding to spend a vacation day to fish involves some calculation. It can be a bit of a juggle between work calendars, necessary meetings, weather, and conditions. We are all thankful for the rain we've been receiving this spring. 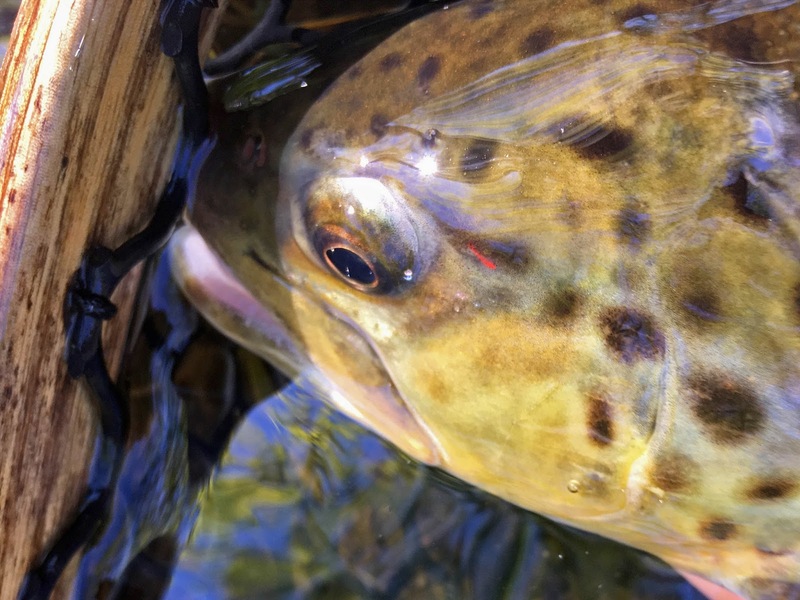 It has brought a number of small brooks back to life after a summer and fall of drought but it has presented some challenges for me in terms of timing fishing breaks. When I have an opening afternoon on my work calendar it's been either raining or recently rained and everything is high. 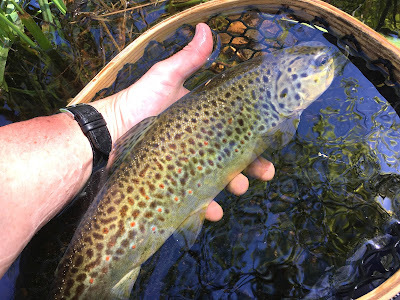 Each year I like to fish a couple days of the Hendrickson hatch on the Farmington river. This year has been a bit strange. We had a couple warm days a few weeks back that got the hatch going but cold, wet weather stalled it. I didn't get a chance to get out when it was just getting going and so with a warm day in the forecast, I decided fish yesterday afternoon. The only problem was the river was running much higher than I usually fish. I should have known that the higher flow would make fishing most of the areas I know tough but I went anyway. I thought a couple of spots would have water calm enough for fish to rise if a decent hatch took place but when I waded across the river at the first stop, I had serious reservations about the probably of success. I needed a backup plan. I stuck it out in the first spot until it was obvious that 1) the hatch was over in this area and 2) the small caddis that were all over the water would not draw any interest from fish in the heavy current. I thought about potential small stream options and other locations but that would involve more driving so I opted to try and make the best of it under the conditions and focus on areas along the edges and inside bends where there might be some softer water out of the main current that fish could hold. My next stop looked like a good choice considering the river level. As I got into the water, I noticed a pair of canadian geese in the brush along the riverbank about 10ft directly behind me. As I watched them, I could see some young so I kept a close eye behind me. This spot was just what I needed to get a couple fish in the net which included a couple of survivor strain browns stocked into the river this spring and a very healthy rainbow. The state of CT marks the fish with an elastomer that indicates when the fish was stocked. The largest was an 18" female that was stocked this past spring. 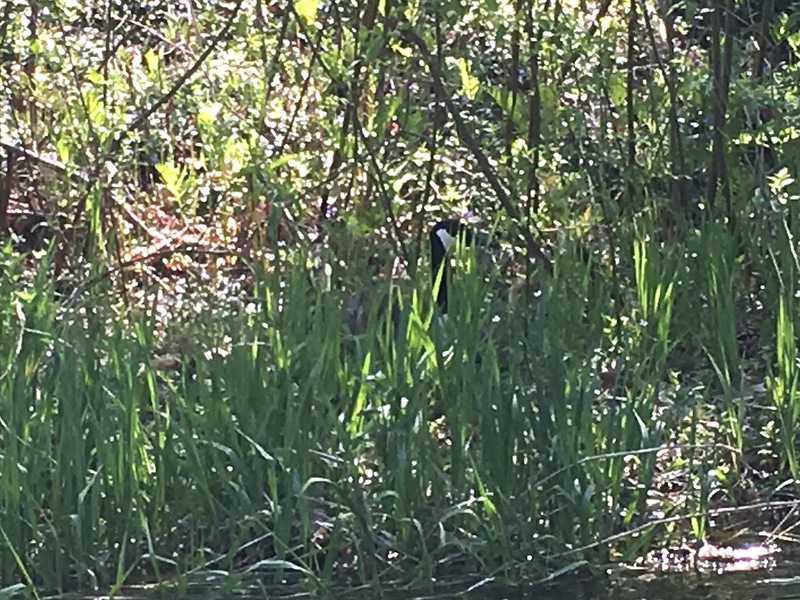 As I got ready to move on, I must have gotten a little too close to one of the geese judging by all the hissing it was doing at me. Encouraged by a little success I went looking for more suitable water. At my third stop I found another rainbow, again on a soft inside seam. Talking to a couple other fly fisherman, I realized that trying to figure out where a spinner fall might take place with soft water where fish would rise was going to be difficult with the limited information I had so I opted to try one final spot before heading home. 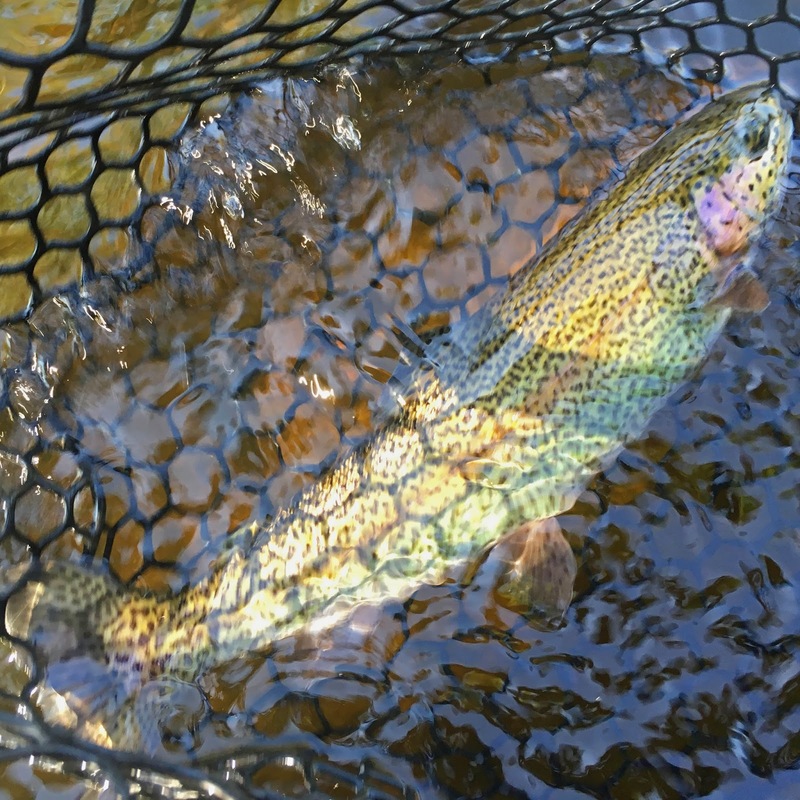 At another inside bend I picked up another two very healthy rainbows that put up strong battles in the heavy current. Heading home I realized the warm sun and wading in the heavy current had left me pretty tired but satisfied that despite a questionable decision to fish in the high water, I had still managed to bring to the net my biggest fish of the season so far. Hey buddy I would agree you made the best of what was dealt to you. That was a good day even though you did not find the hatch! Way to go! Pete -thanks for showing me around the river! Days like this you have to have a lot of options! You managed the problem and solution quite well, Mark, and the proof of that comes with the feeling and satisfaction at the end of the day. 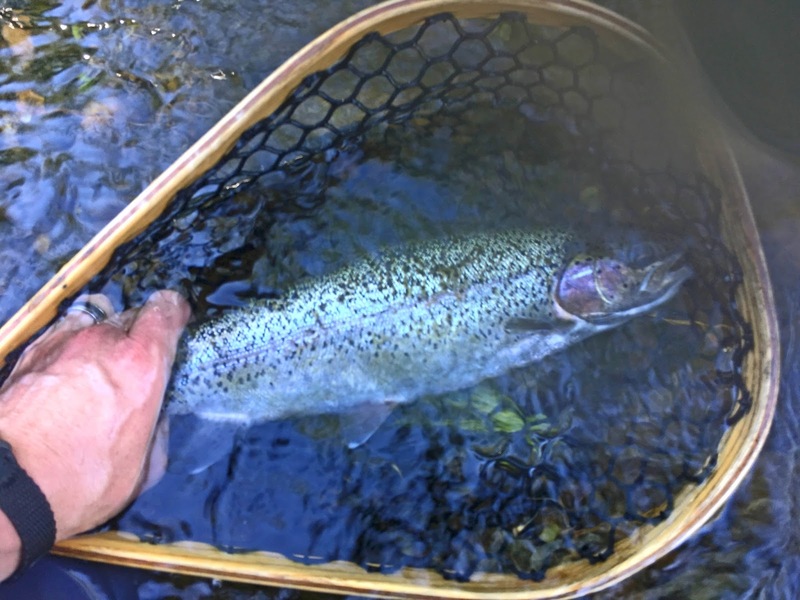 It's been a tough season for fly fishing in many areas, but hopefully it will be a longer one for all the water we've received so far. kongponleu88. - thanks for stopping by. Where are you from?